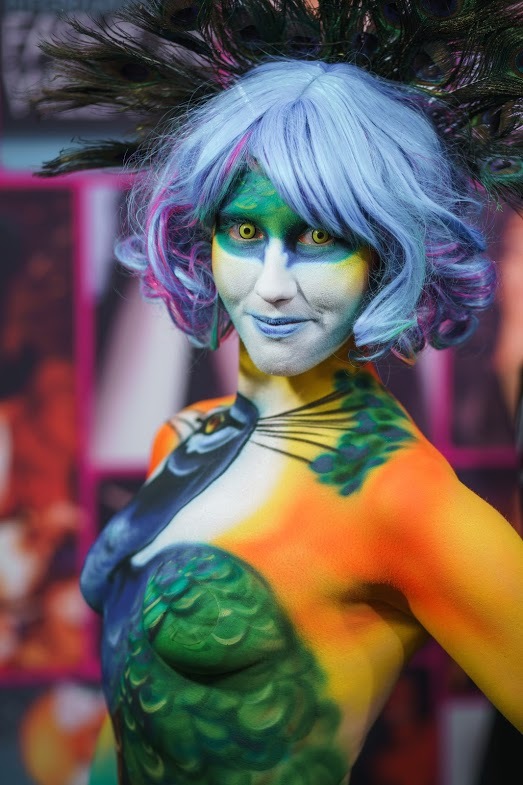 The Makeup Show comes to New York City only once a year and is one of the largest pro-driven beauty events in the world. If you are an industry professional, this is a show not to be missed. 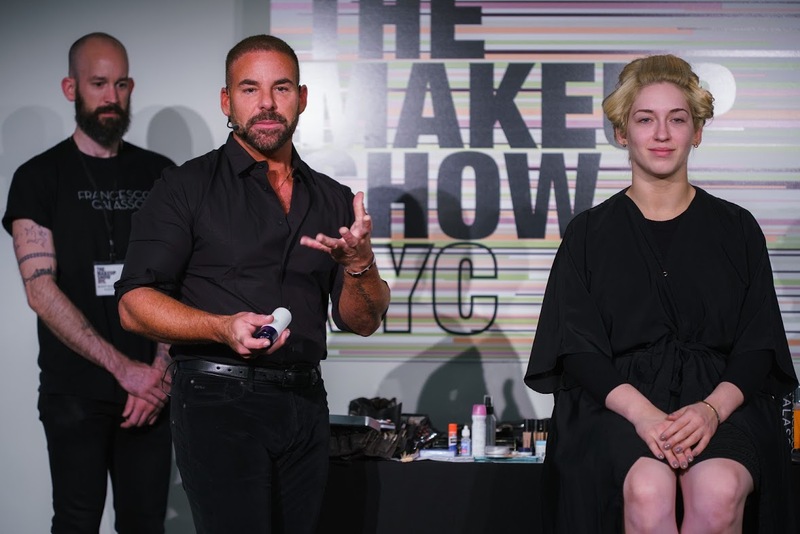 The Makeup Show, NYC just wrapped up its 10th year of bringing inspiration, education, and artistry to thousands of attendees. As a beauty professional, the best part of the show is having all of my favorite brands (and then some) under one roof to shop and scour! Brands like Beauty Blender, Beauty So Clean, and Youngblood Cosmetics to name a few. Most to all of the brands at show offer exclusive deals for pros too, like 30-50% off products plus freebies and giveaways. If there’s a time to restock your kit, it is now. 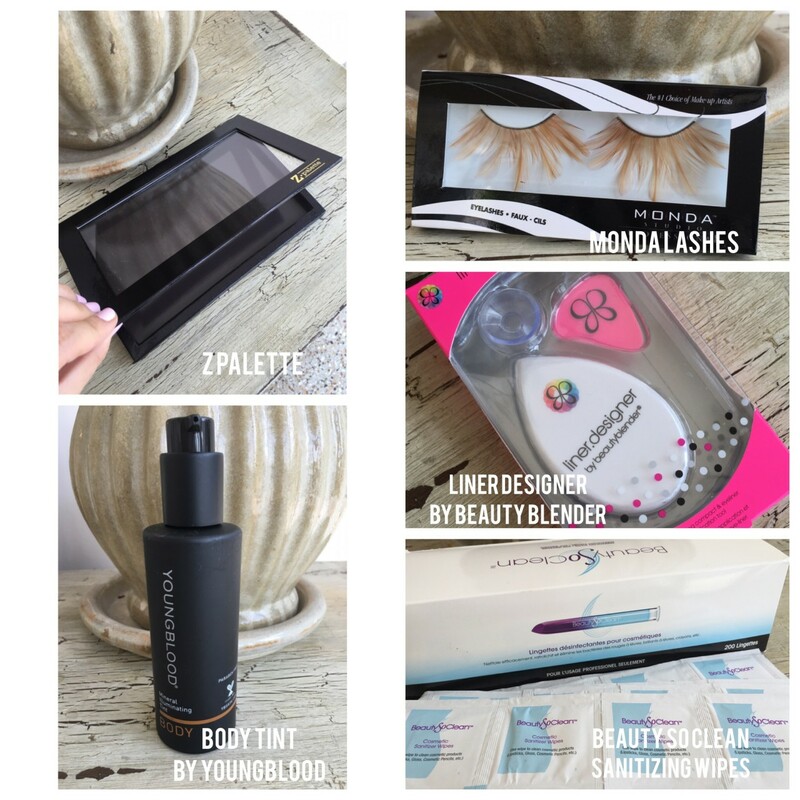 See some of the fab products I picked up below. Got makeup clutter? Grab yourself a customizable Z Palette (top left corner) to organize all of your makeup and downsize. It’s sleek, portable and worth every penny. Summer is swiftly approaching and no one wants to hit the beach looking pasty, am I right?! Try one of my ALL TIME favorite body tints, the Mineral Illuminating Tint (bottom left corner) from Youngblood Cosmetics. It’s non-streaking and made with ingredients like shea butter and coconut oil. Superb! I also grabbed a pair of these Monda faux lashes (top right corner) just for fun. But, how cute?! Pair those lashes with perfect winged liner that you can now achieve on your own- with no problem- from Beauty Blender the Liner Designer. Getting the perfect winged liner can be so difficult sometimes. This flexible guitar pick like device becomes a helpful steady hand when applying your fave liner. Def worth the buy! Finding brush cleaner and makeup sanitizer that’s efficient and safe for you or your clients can be one tough task, but the brand Beauty So Clean (bottom right corner) I can stand behind. The sanitizing wipes for makeup products, brush cleansers and conditioner work really well and quickly to remove residue. 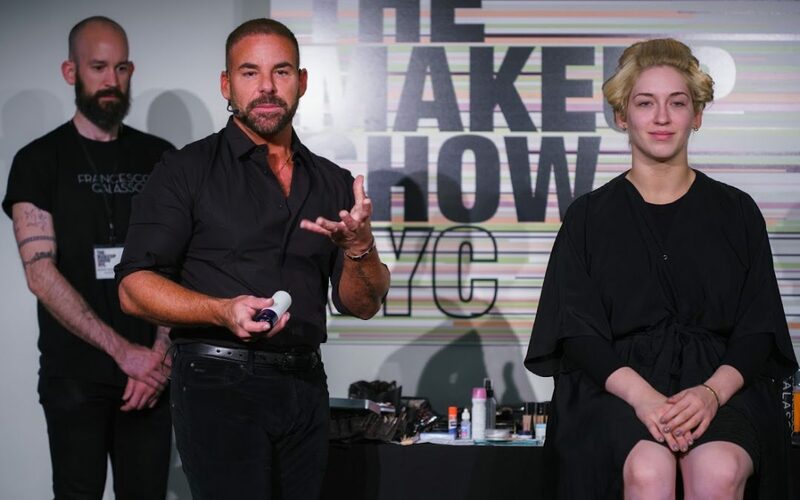 Besides shopping the amazing brands, The Makeup Show enables pros to learn from some of the most inspirational industry leaders, through their seminars and hands on workshops. This show is filled with opportunity to build relationships with some of the industry’s biggest names, buyers, retailers, editors and bloggers. Renowned makeup artists like Scott Barnes, Dany Sanz, Eve Pearl, and Chris Milone come from all over the country to share their secrets to success and must know beauty tips and tricks. That’s Dany Sanz, founder of Make Up For Ever, above! And this is celebrity makeup artist Scott Barnes. The Makeup Show brings two days full of inspiration, education and opportunity for all beauty professionals to come together and mingle with some of the greatest brands in the business. 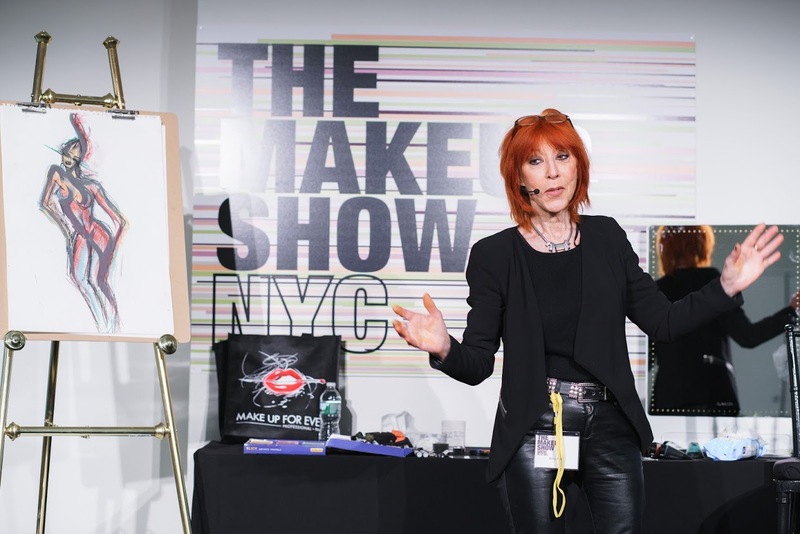 Don’t fret if you live outside of NYC and can’t make the show, The Makeup Show travels from LA, Dallas, Chicago, Orlando and NYC to offer this amazing experience to all beauty pros! To stay up to date when The Makeup Show will be coming to your area or get the latest news on the beauty industry check out www.themakeupshow.com. NOTE: This post is not sponsored. All thoughts are unbiased and my own. I attended The Makeup Show for editorial consideration and my role as a makeup and beauty professional. Photo credit of Dany Sanz, Scott Barnes, and body painted model to Nadav Havakook. Product collage photo by me.